That tail is so gorgeous! I colored it in shades of purple using copic markers. Once the images were colored and die-cut, I reached for a few Avery Elle dies to help design the card. I die-cut the Waves die, and, without removing any of the pieces, I did some ink blending to compliment the mermaid tail colors. I used Victorian Velvet and Tumbled Glass to color the background, blending them together behind the tail. To frame the images, and break up all of that purple, I used Avery Elle's Burst die. I hope you like it! Thanks for stopping by! I'm really falling behind in terms of keeping up with my blogging this summer! 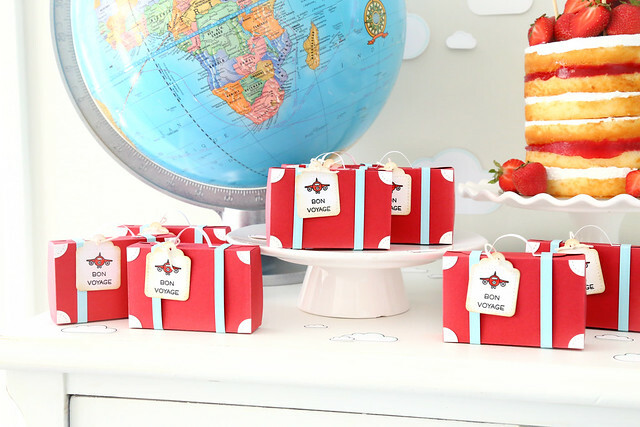 You may have already seen this party on the Lawn Fawn blog a few days ago, but I wanted to share it here too. 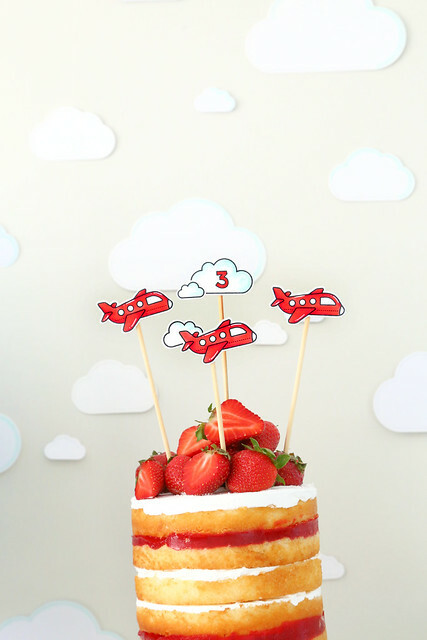 My nephew turned 3! 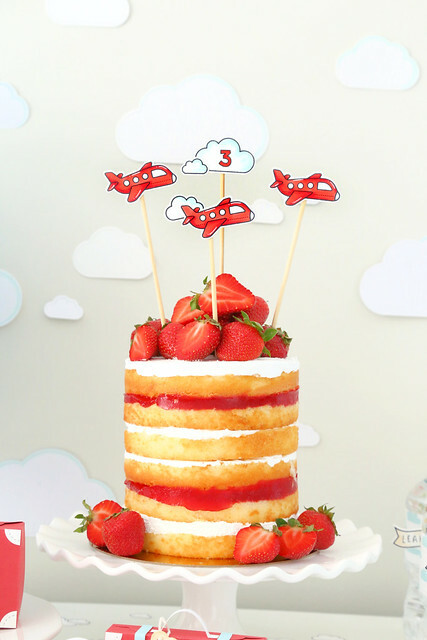 and I asked if I could make a cake and some fun decorations for his party. I used Lawn Fawn stamps and dies to make it happen. The red airplanes (from Plane and Simple) are so fun! 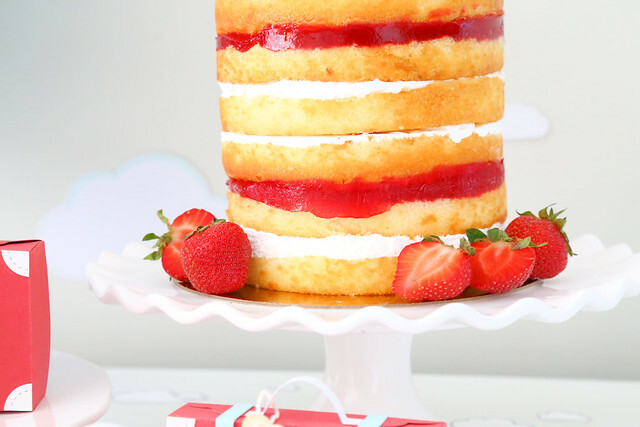 And what better to pair them with than this vanilla cake with strawberry jelly and piled strawberries on top? yum! 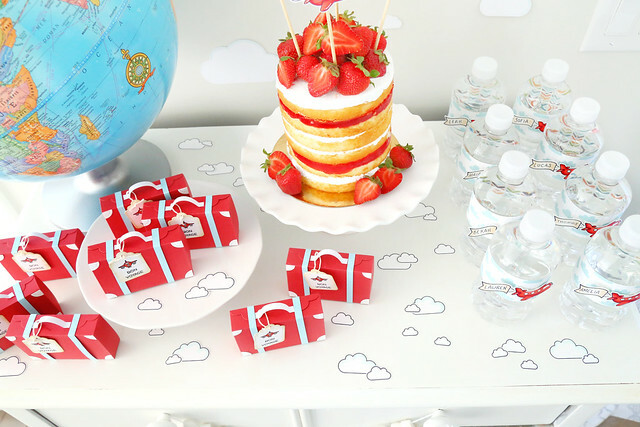 Having the cake match the handmade decor goes a long way into making everything look tied together. And, if you're thinking - but I don't bake! - here's a little secret. When I don't have the time to bake, I'll just hack my way into things. I went to the supermarket and straight for the ready-made cakes. I found 6 inch cakes, that had weird things on top, but otherwise matched my decor. But they were too short. I bought 2 of them (at $5 each!) scrapped off the stuff on top I didn't like, and piled strawberries on top. Not bad, right? Hardly any effort on my part, and it was a huge hit. It tasted good and cost less than making it from scratch. That's my party planning PSA. ha. 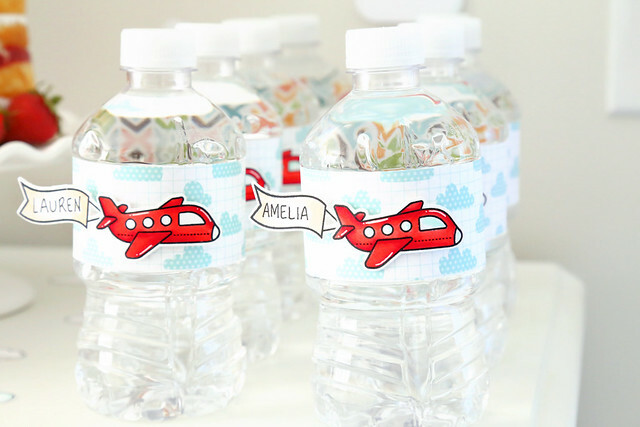 More red airplanes, this time on the water bottles. 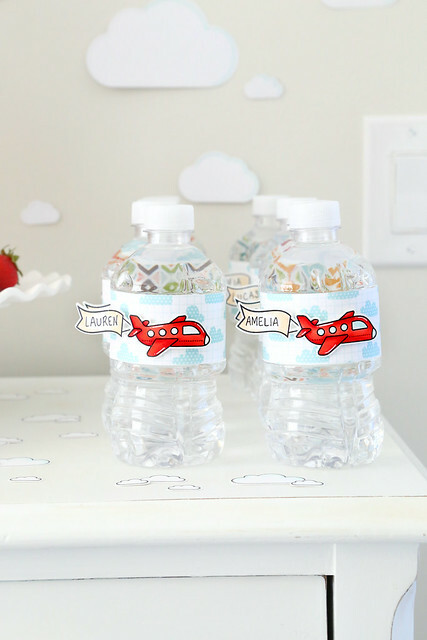 The little banners flying behind the planes were perfect for personalization. I hand-wrote each kid's name. 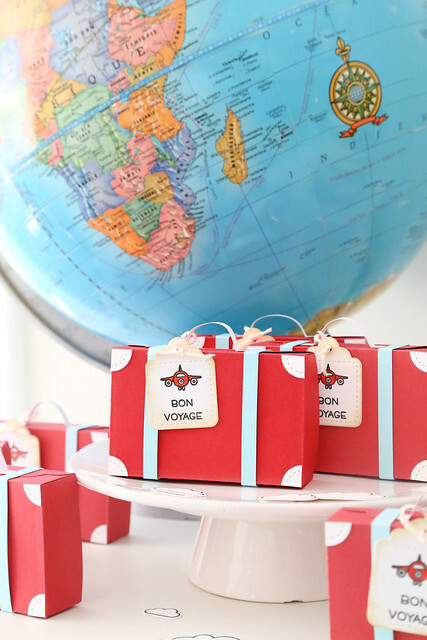 For every party I put together, I always try to think of at least one out-of-the-box item. These red suitcases are my favorite things ever! I used the Fancy Box Die to make them. They were cut out of red paper and then decorated very simply. I cut strips of blue cardstock and wrapped them around. Then, I took a die-cut circle and cut it into 4, one for each corner of the suitcase. I used a strip of which cardstock for a handle. This took the longest out of anything else I crafted for the party, but they are so cute! For a finishing touch, I added a Tiny Tag onto the front of each suitcase, stamped with the airplane from Plan On It: Vacation. Lawn Fawn is showing off their Fall/Winter release all week long! Everything shown this week will be for sale at the end of August. 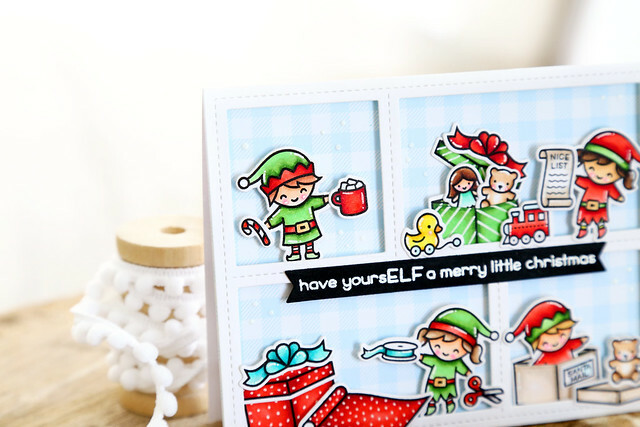 Today's I'm showing off the cute little elves that you've already been eyeing in the sneak peek banner. I love them so much! 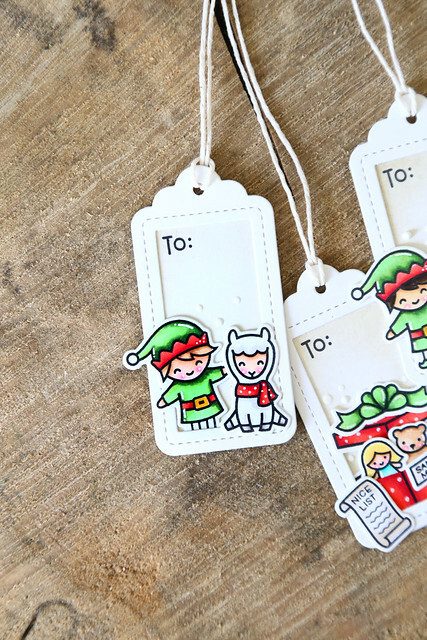 Holiday Helpers is an adorable set, with mirror imaged girl and boy elves and all kinds of toy-shop accessories. 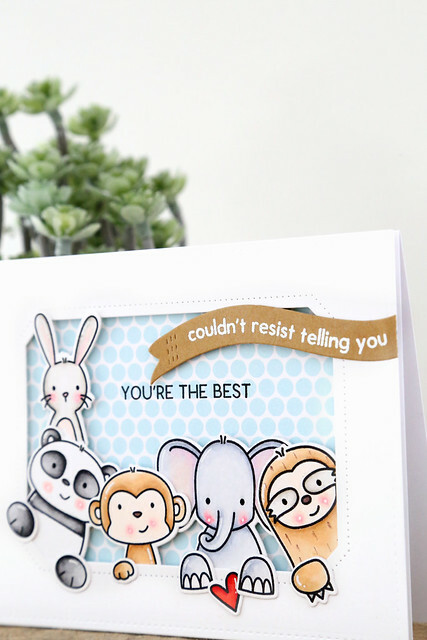 I used the Peekaboo Backdrop die to create little vignettes within each opening. The little boy elves are hanging out, playing in the boxes, drinking hot chocolate, while the girl elves are doing all the work. haha. I created all of the little scenes, and then set them against a blue gingham paper background. I love the little slit in the box, so that toys (or elves) can be tucked in! So fun! I also used the Holiday Helpers elves along with the Say What? Christmas Critters and Say What? 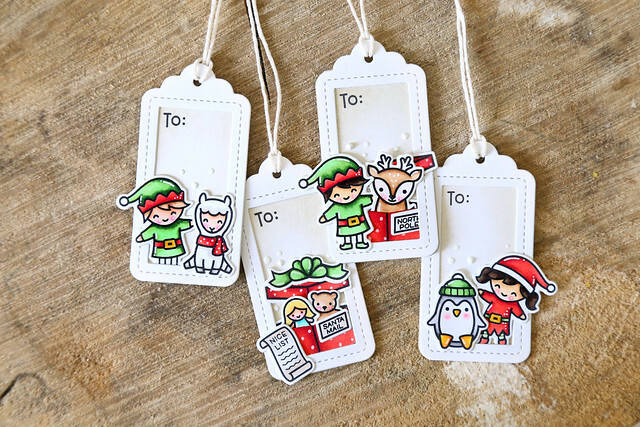 Gift Tags to make a fun set of Christmas tags. I love these tags! They are small (read, easy to put together,) but not too small, with room for images without crowding the recipient's name. I love that you can make shaker tags out of them! I kept it simple for my first time out. I love how the holiday colors really pop against the simple white tag. I hope you like what I've created for you today! Be sure to check out the Lawn Fawn blog this morning for all of the sneak peeks - CLICK! Today, I'm showing off a set of add-on dies for the Woodland Critter Huggers. The Woodland Critter Huggers Winter Add-On set includes mittens, a scarf, a santa hat, and earmuffs! I made a little reindeer treat hugger, and gave him a piece of dark chocolate to hold. I love a card and a treat all in one! I added a scarf, the santa hat and a pair of mittens to the reindeer. Little white gel pen accents help everything really pop! At his feet, I placed extra die-cuts from the set: the present, the little mug filled with whipped cream and the candy cane. I love how these dies were designed! For the present, I die-cut the box in white and the little ribbon in red. They fit together perfectly. Likewise, the candy cane is 2 dies - one for the white and one for the red part. And the mug has a slit in the top, so that the whipped cream can slide in. 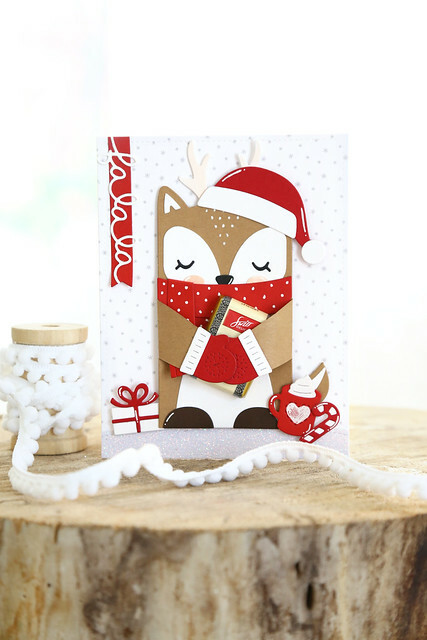 I hope you like what I've made today, and be sure to check out the Lawn Fawn blog for so many more new product reveals - CLICK! Lawn Fawn is showing off their new Fall/Winter collection all week long! Everything shown this week will be for sale at the end of August. For this card, I colored the bears from Winter Skies and used the scalloped circle window die to create an opening for the night sky. I love them wrapped in the same scarf, looking up at Santa and his reindeer! I added a tree for a fun pop of color, and set the images onto a sentiment banner flag. I hope you like it! 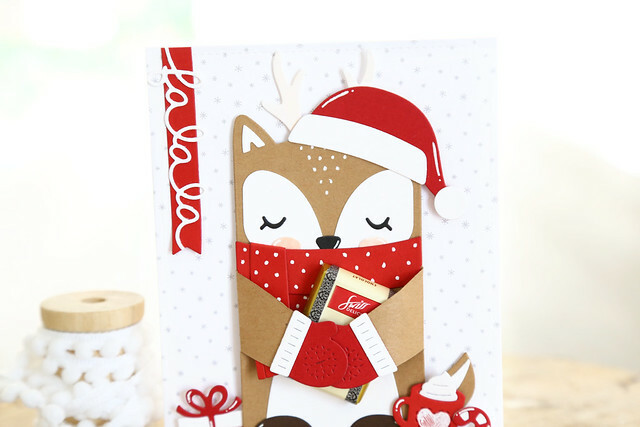 Be sure to check out the Lawn Fawn blog this morning for all of the new sneak peeks - click! 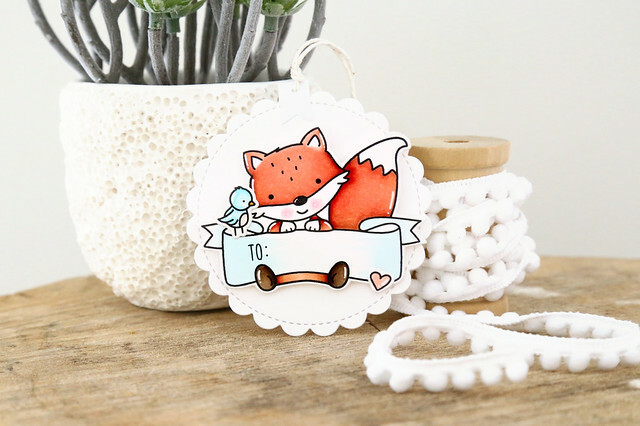 Lawn Fawn is showing off their Fall/Winter release on the blog all week long! 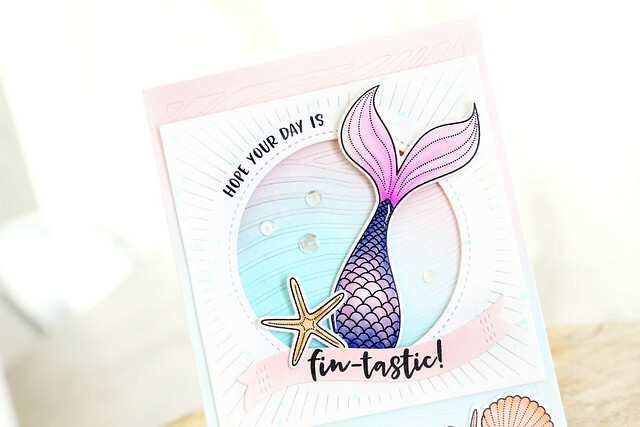 New stamp sets, new paper collections, ink colors, and more amazing dies! All of the new products will be available for purchase at the end of August. All of those little squirrels! I had them playing in the pumpkin patches. Aren't they so cute? I love the pumpkins with the open lids - perfect for stashing little critters inside. I set the pumpkins onto rolling green hills and gave them shadows by way of a green copic marker. I also added little highlights to the pumpkins and the critters with a white gel pen. 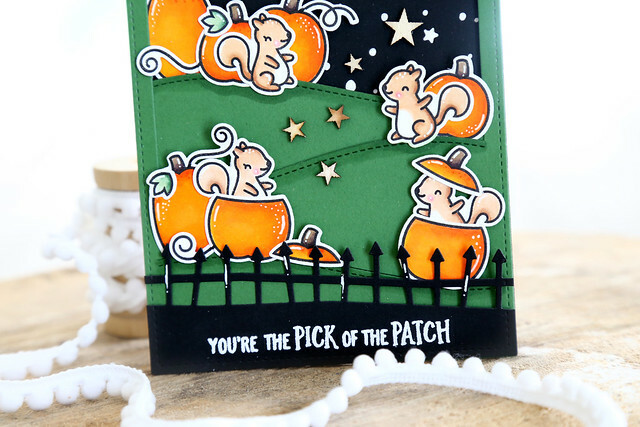 Also new: the Spooky Fence Border - it was the perfect way to balance out the black at the top of the card, and create space for the sentiment. I hope you like it! There's so much more to see on the Lawn Fawn blog today - click! 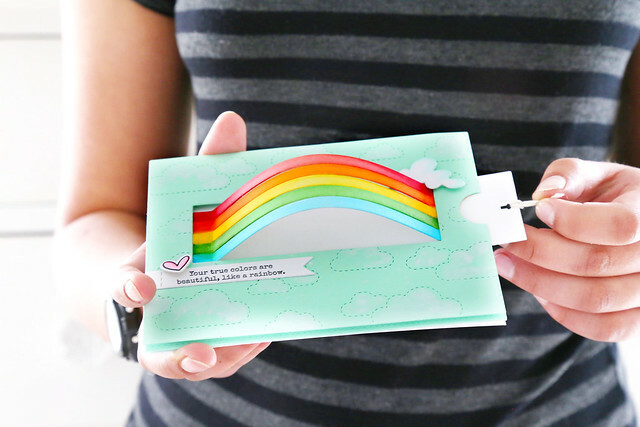 I had so much fun working with the new Rainbow Slider dies from Ellen Hutson and am so excited to show you what I made! Isn't it so fun? I kept the card-front pretty simple. 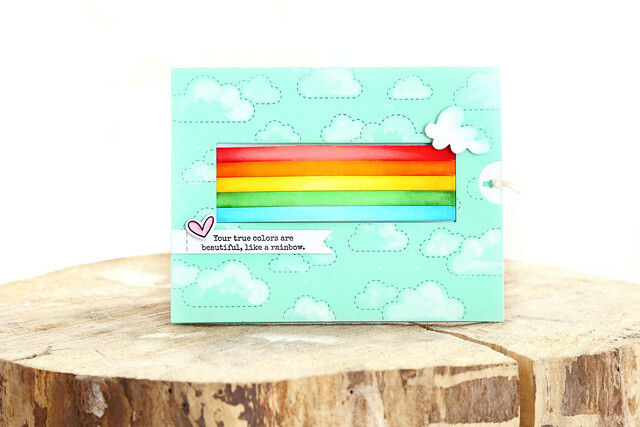 I colored all of the rainbow stripes with copic markers, and set it against a cloudy backdrop. The cloud cover plate is by Lawn Fawn. 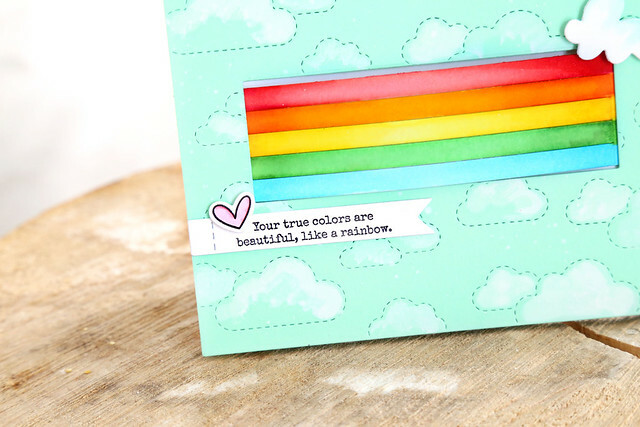 I colored the clouds with white paint and added an extra cloud, from the Rainbow Slider collection to the card. When the card was fully assembled, I asked my daughter to show you what it does. You pull on the tab, and voila! a rainbow appears. So fun! 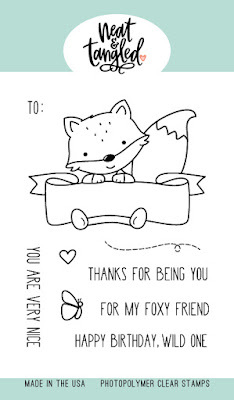 To finish off the card, I added a sentiment from Over It (another set in this new collection!) and a tiny heart. I hope you like what you see so far! 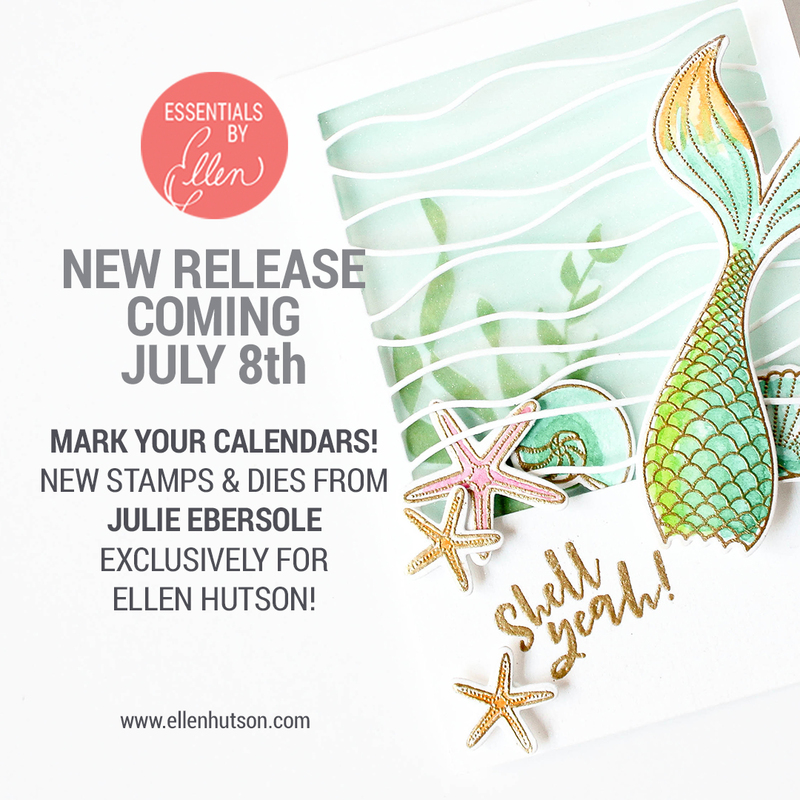 Shop the new collection over at Ellen Hutson - click! 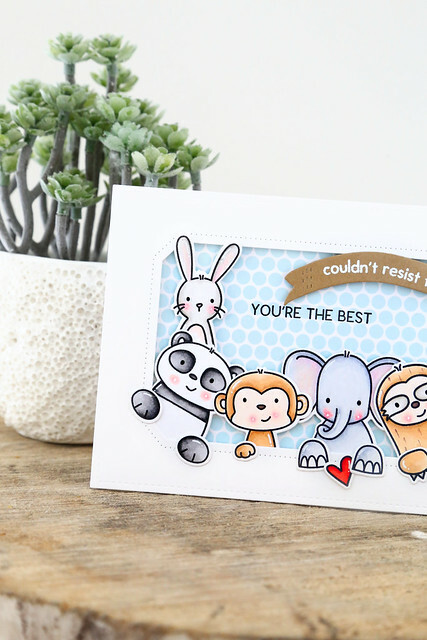 I really wanted to let the cute critters, from Peek A Boo Pals, take center stage, so I started out by stamping and coloring the ones I wanted to use. I played around with mixing and matching critters. For example, I knew I would color the sloth and monkey in similar shades of brown, and I wanted to make sure they wouldn't be directly next to each other. You know, to avoid a "who wore it best" scenario. ha. I also wanted to make sure the height of the critters would balance out the card. So, the pointy-eared bunny standing on the panda's back balances out the sentiment flag on the other side. Once I had all of the critters colored, I knew I wanted them to be popping out of some kind of frame. With their paws hanging out, aren't they just the cutest? I cut into an A2-sized piece of white cardstock with an Avery Elle hexagon die. I then selected a blue and white polka dot paper for the background, and positioned the critters inside the frame. To finish off, I stamped the first half of the greeting in versamark and heat-embossed it onto a sentiment flag (that die is also by Avery Elle!) and then stamped the other half directly onto the patterned paper. As a little finishing touch, I added a bright red heart. I love the sweet elephant holding onto it. 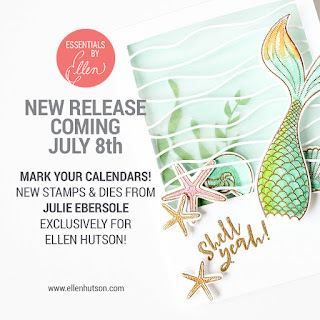 I'm here and on the Ellen Hutson blog today, showing off some of what's hitting their store on Sunday!! I'm showing off the new set, Unicorns and Rainbow. It is so super cute! I wanted to give the card a dreamy quality, without resorting to too many pastel colors. I grabbed a few colors of blue distress inks: Tumbled Glass, Salty Ocean, and Faded jeans and blended them together. I left the top corners white, and did only enough blending so that it softened, but I still wanted to be able to see the different levels of blue. 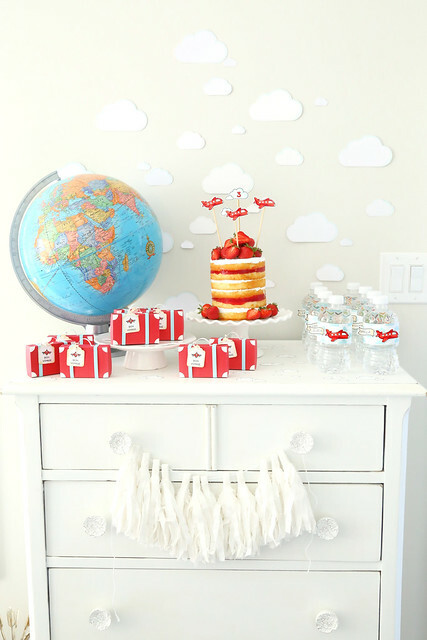 I then flicked on some water and white paint to add to the dreamy and whimsical feel. 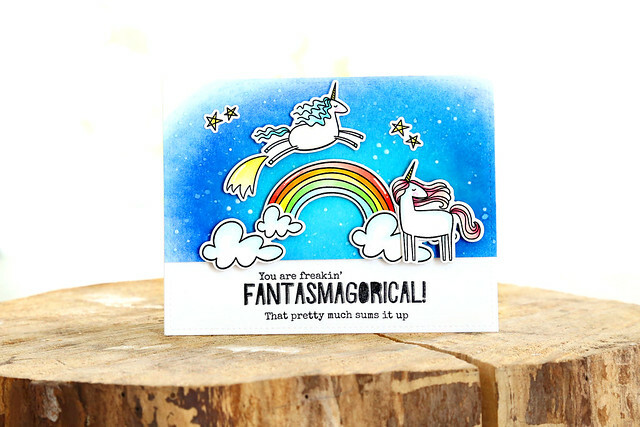 The streak of light behind the jumping unicorn is actually the image of the shooting star, but I cut off the star and gave him that extra element. When I was happy with the scene, I cut off the bottom of my ink-blended cardstock piece, and adhered all of the images to it. I then die-cut another piece of white cardstock (using an A2-sized Lawn Fawn stitched rectangle die) and stamped my favorite sentiments from the set at the bottom. I love that sentiment! Totally makes me smile every time. I hope you like what I've created! Sunday come quick! Guess what? 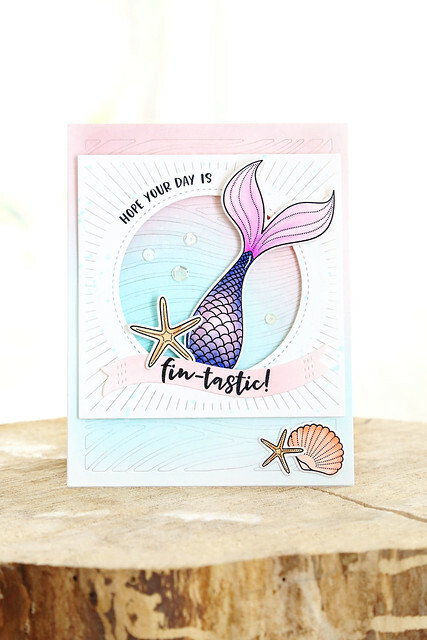 Unlike typical Neat and Tangled release weeks where the new product hits the store on the Friday morning, all of this month's goodies are up there right now - click HERE to check them out! Today's post is a special one, and dear to Danielle's heart. You may remember that Danielle shared how her dad was diagnosed with CRPS (Complex Regional Pain Syndrome) following a routine knee surgery, and a Go-Fund-Me page was launched to help him get treatment. Danielle was so grateful for the outpouring of love and support from friends, family, and the crafting community that she designed today's set, Celebrate You, as a way to pay it forward. All proceeds from the sale of this stamp set and Celebrate You die set will go to the Neurological Relief Center, where Danielle's father was able to undergo treatment. 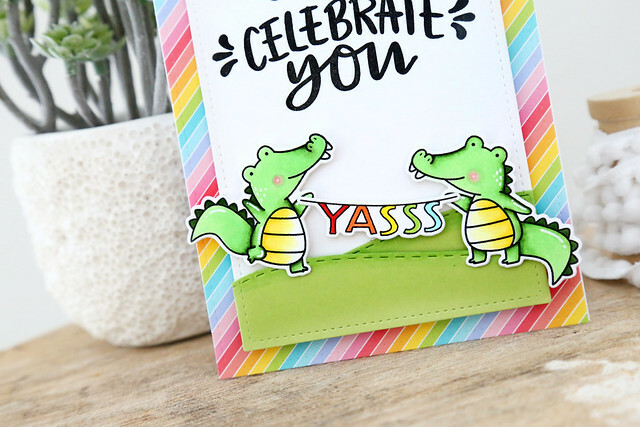 I couldn't help but add the gators and their sassy banner to the card. 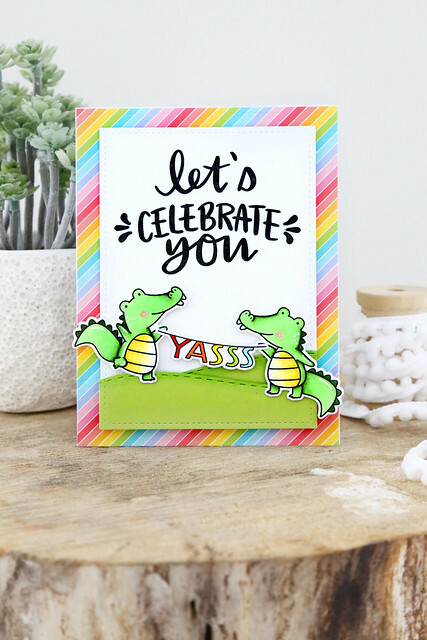 All of the rainbow colors make for a celebration! 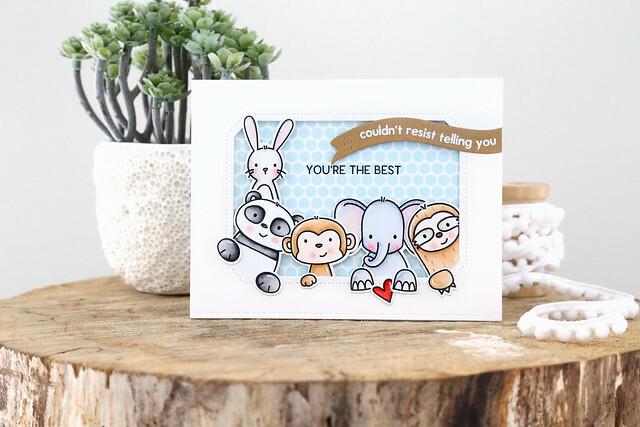 When I placed the large Celebrate You sentiment across the top, I decided to cut away the flourishes on either side and replace them with different ones, from the So Lucky stamp set. 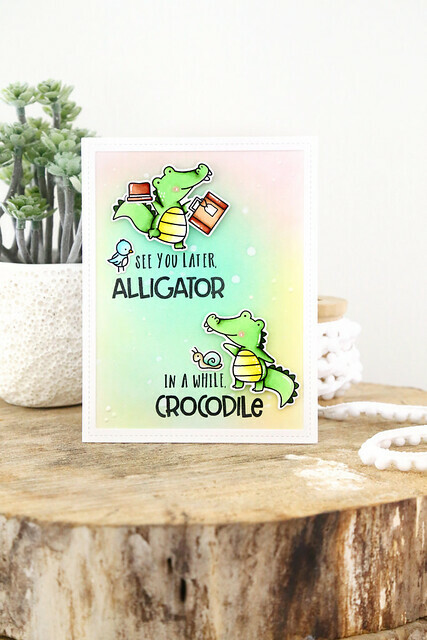 Underneath the sentiment, the Later Alligator cuties are standing on rolling green hills, courtesy of the Stitched Slopes dies. 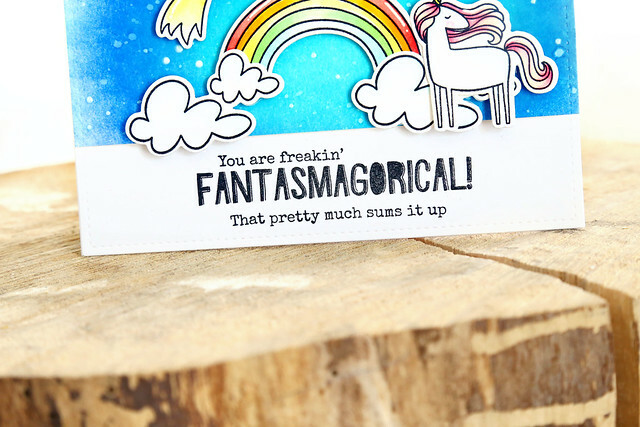 I hope this card made you smile today! Be sure to read Danielle's heartfelt post and see what the rest of the team came up with. There are also guest designers joining in today, and you can find them all linked on the NT blog - click! 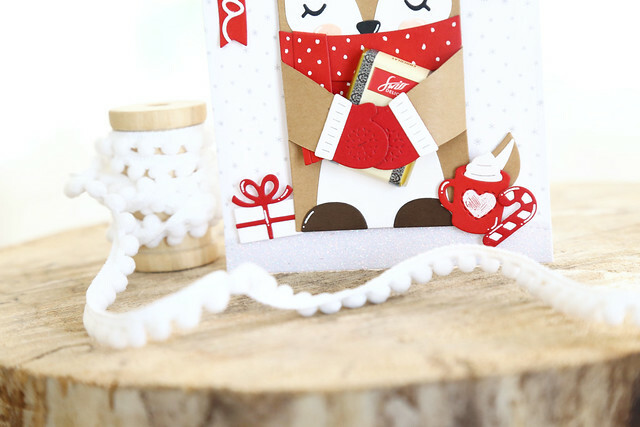 We're onto day 3 of this month's Neat and Tangled new release reveals. 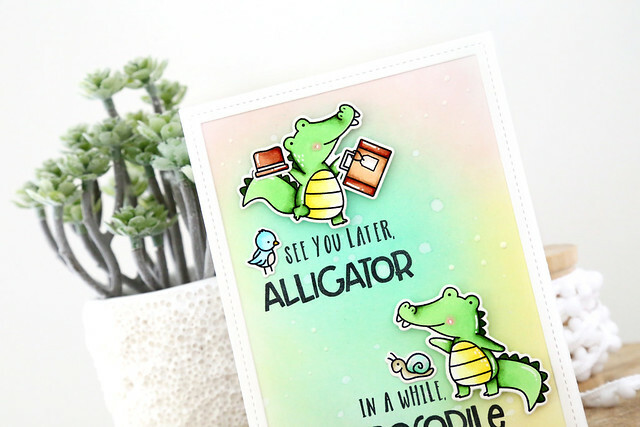 Today is our showcase of Later Alligator, a 4x6 stamp set that I illustrated. I've seen other croc/alligator sets out there, but this one might be a little quirkier, with the fish balloon and the YASSS banner and the little stuffed animal frog. hee. 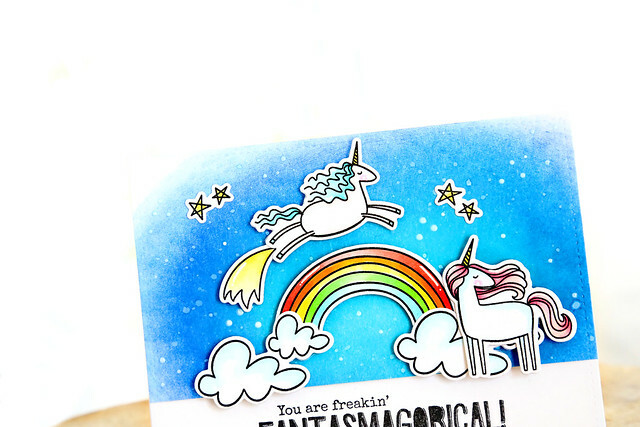 I stamped, colored and die-cut the images that I wanted for my card. I love the one at the top, holding his hat and suitcase! His friend at the bottom is waving him goodbye. Once I figured out my layout, I grabbed a card-front-sized piece of white cardstock and did some soft ink blending with distress inks. I flicked droplets of water on top of the sponged ink for that soft, dreamy look. 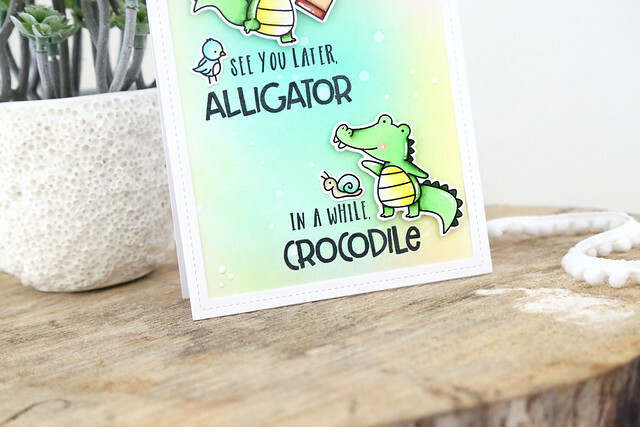 As soon as the paper was dry, I stamped out the greeting (using my MISTI tool for perfect placement!) and then popped up the croc and alligator using foam tape. I love the little bird peering at the sentiment, and the little snail crawling across the his sentiment too. I hope you like what I've created! There's more to see on the NT blog this morning - click! Before you go, don't forget to leave me a comment! You'll be in the running for a $25 store gift card, chosen from among the design team blog posts at the end of the week. 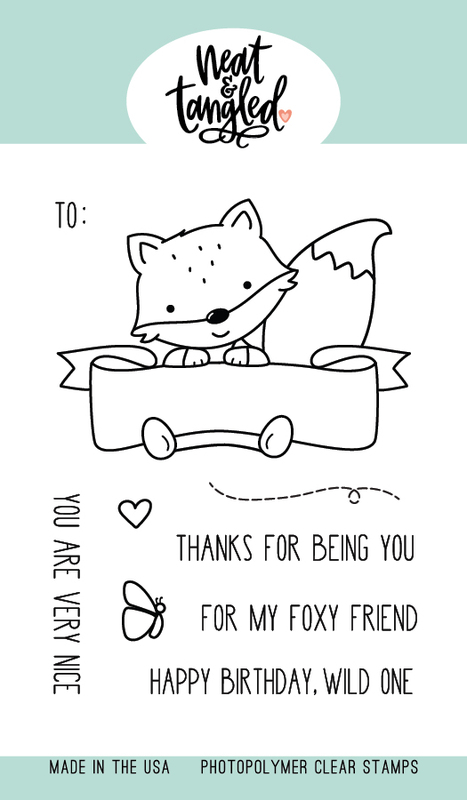 For day 2 of July's Neat and Tangled release week, I get to introduce a 3x4 set I illustrated, called So Foxy. If you loved the simplicity of the previously released Koalifications set, I think you'll like this one too! The image is all one stamp - the fox holding the banner. 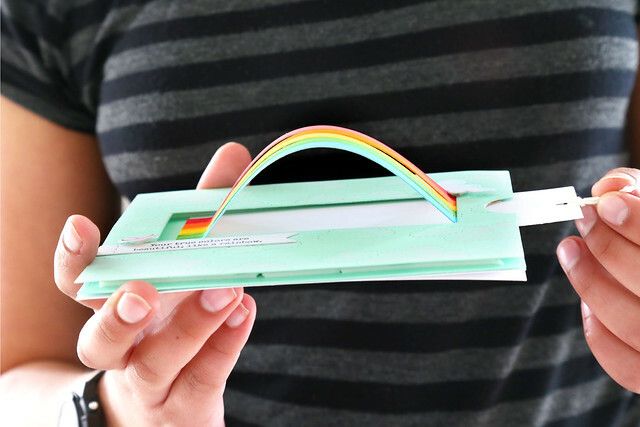 There are different sentiments you could put inside. I designed the image to work on a card front, but also for tags. Just a little note: the sentiments are all straight, but I bent the sentiment a bit to fit it over his little feet. It's so easy to do! But keeping the sentiment straight means that you could use them apart from this one image. I just think this is so sweet. The little bird from Later Alligator, perched on top of the banner. I simply adhered the images to a scalloped circle shape and added a folded flag topper to create a tag, ready for gifting. I hope you think she's so foxy! Leave me a comment before you go - you could win a $25 NT gift card at the end of the week. 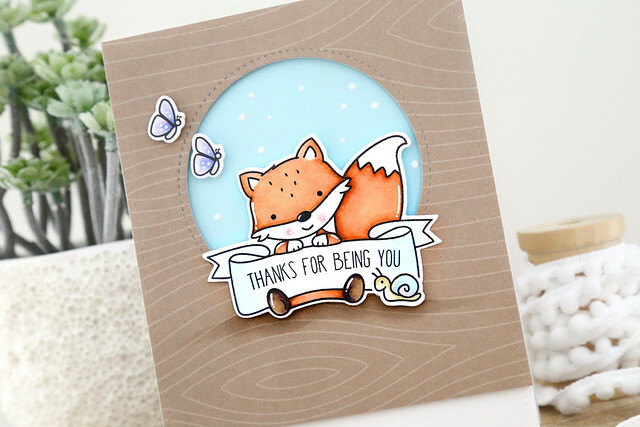 And check out the Neat and Tangled blog for more of this sweet fox - click! 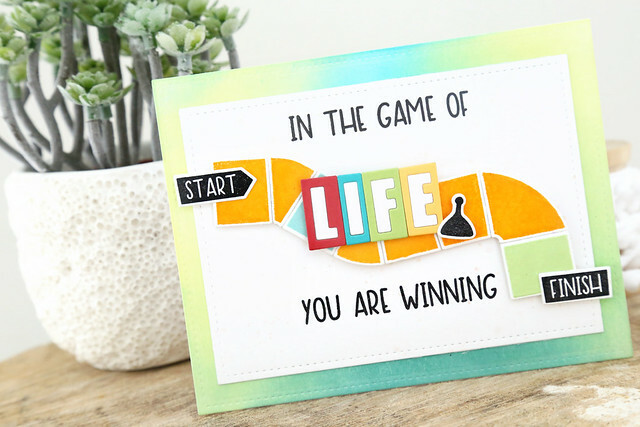 It's time to kick off July's Neat and Tangled release with a first look at a fun set designed by Miriam, called Life's A Game. This one took me all the way back to my childhood! Hours of playing - how many kids will you have? Will you have a good job? haha. My sisters and I loved that board game so much! I started by stamping out a bunch of board pieces. In the version we had at home, all of the regular squares were orange or yellow and then the "special squares" were a different color. I threw in blue and green squares to simulate those. I cut out the letters to spell out L-I-F-E in the same way it was on my old box front. So iconic! On the card base, I ink-blended some blues and green to simulate the grass and water patches on the board game - I took some liberties with that one! I hope you like it! There's more to see on the NT blog this morning - click! 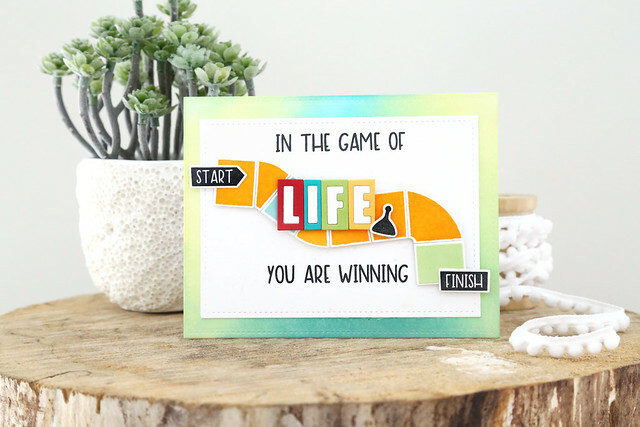 And remember to leave comments on all of the design team members blog posts this week - at the end of the week, Danielle will choose one comment at random to win a $25 store gift card. Good luck!